Pradhan Mantri Shram Yogi Mandha. Unorganised sector to get rs 300. Finance Minister Piyush Goyal, while presenting Budget 2019, on Friday announced the launch of a social security pension scheme for workers in the unorganized sector, called the Pradhan Mantri Shram Yogi Mandhan. Under the scheme, an assured monthly pension of Rs 3,000 per month will be provided to workers in the unorganized sector after 60 years of age. However, to avail of the scheme, workers will have to contribute Rs 100 month. He further said the scheme, which would benefit 10 crore workers, would be implemented from this fiscal itself. “It may become the world’s biggest pension scheme for the unorganized sector in five years,” he said. 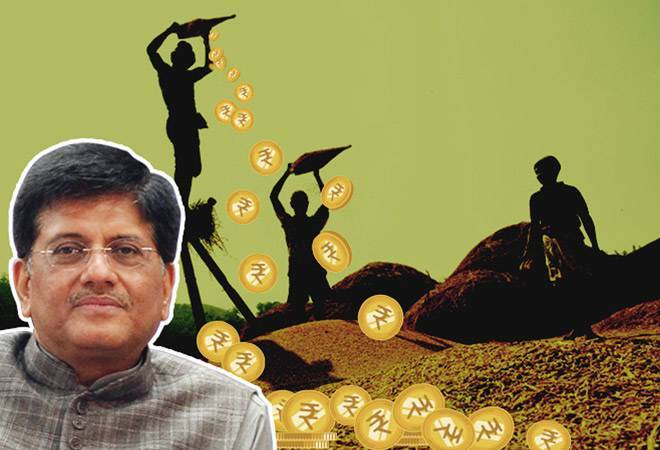 Goyal also announced an increase of gratuity limit from Rs 10 lakh to Rs 30 lakh from the next fiscal. The government’s attempt to woo the unorganized sector comes after an estimated 200 million workers across various sectors carried out a two-day nationwide strike on January 8-9. About 91 percent of the informal sector, which was dependent on cash for survival, was harmed due to demonetization.